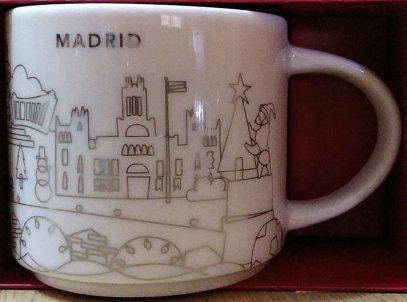 If we compare this new mug to the regular Madrid YAH, we can see that Christmas string lights and snowman were added and all trees were replaced with Christmas trees, yes, even the strawberry tree from Coat of arms of Madrid. And this is not the only change here. The bear now has a hat! 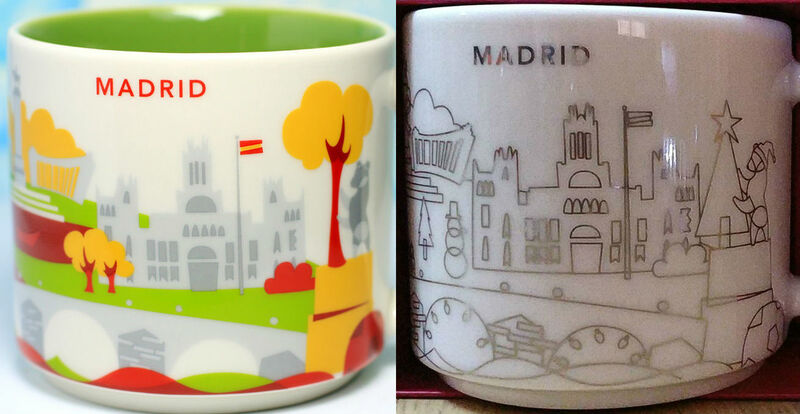 Definitely a nice addition to European Christmas YAH family. Stay tuned, more releases to come!